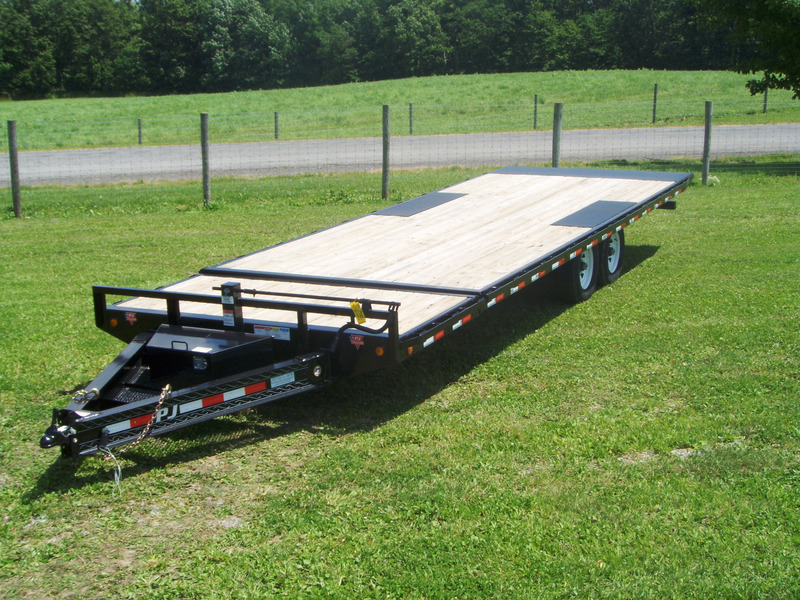 Take a look through our extensive inventory of trailers. 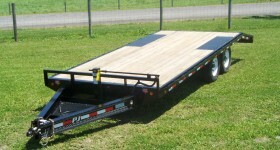 Let us know what you're looking for and we will most likely have it, in stock, ready to pick up. 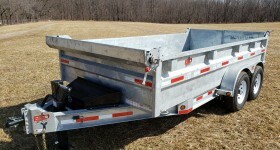 HOT-DIP GALVANIZING: Steel is a wonderful material, but it can be corroded by the elements and air pollution. 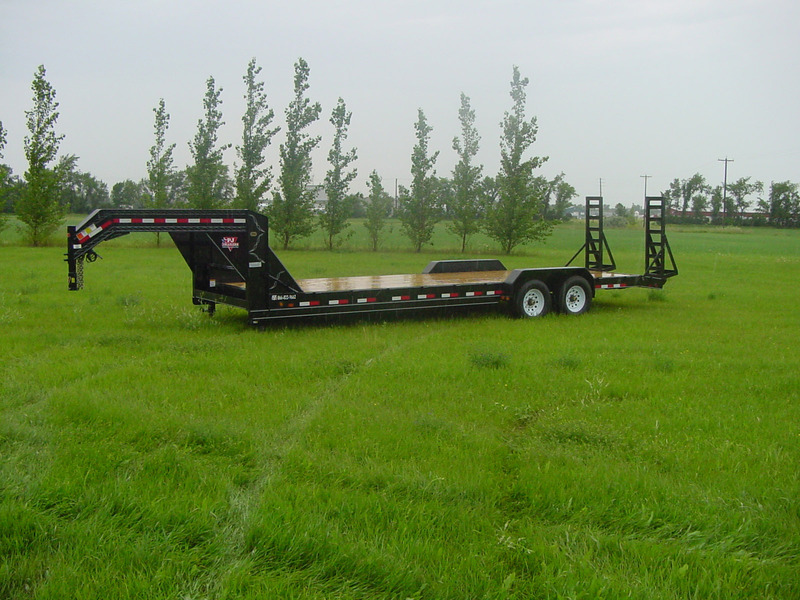 Hot-dip galvanizing protects steel from corrosion and environmentally-friendly manner and considerably increases its lifetime. 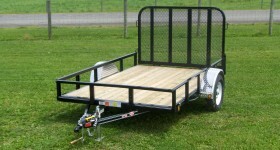 Security and protection are our top priorities. 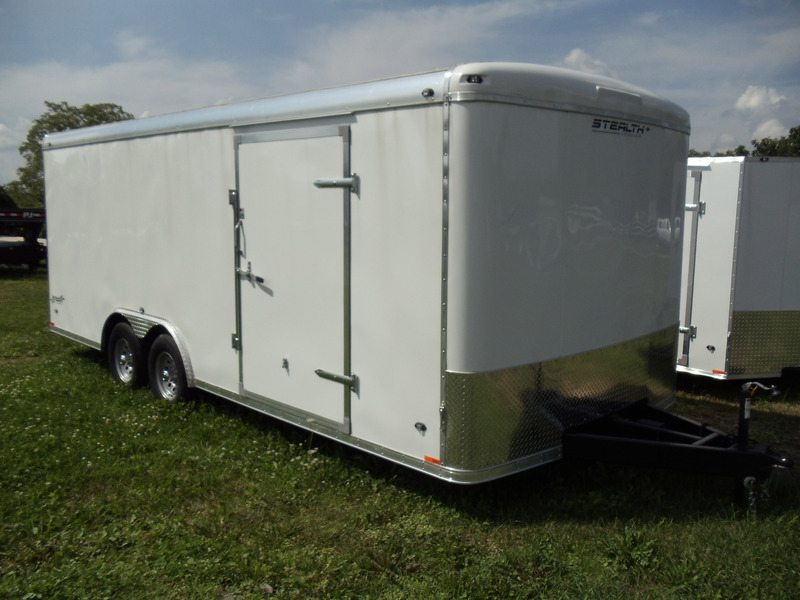 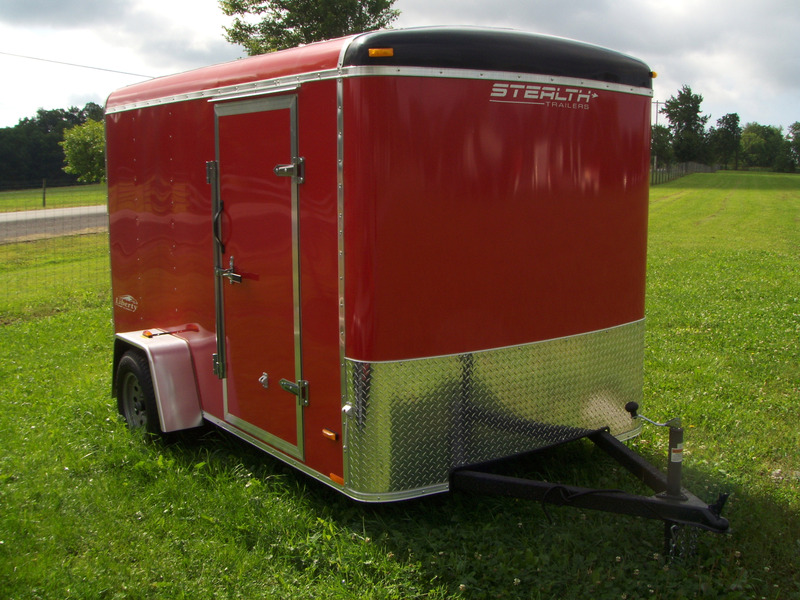 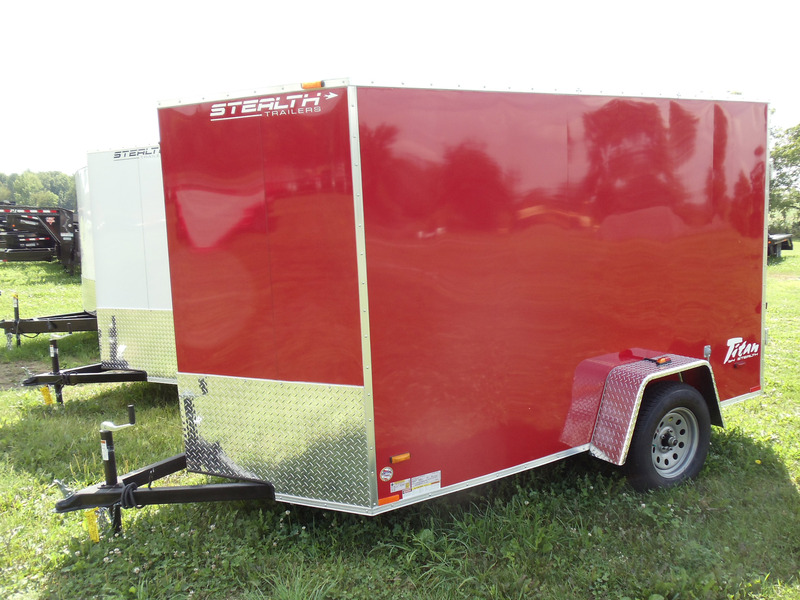 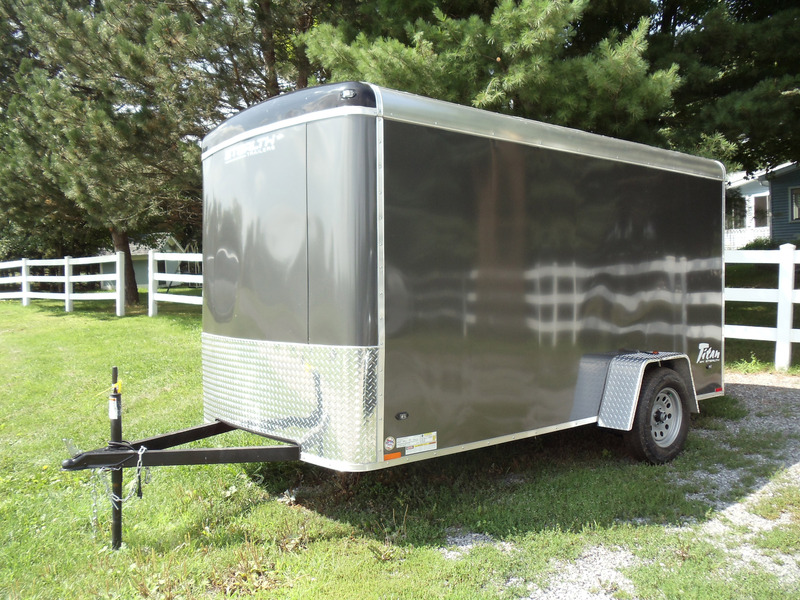 Enclosed trailers offer both of these to those looking to guard their property; while it’s important to secure what’s within, it’s also key to have easy access. 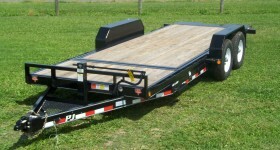 Side and ramp doors, extra tall or wide dimensions all allow easy access to your cargo. 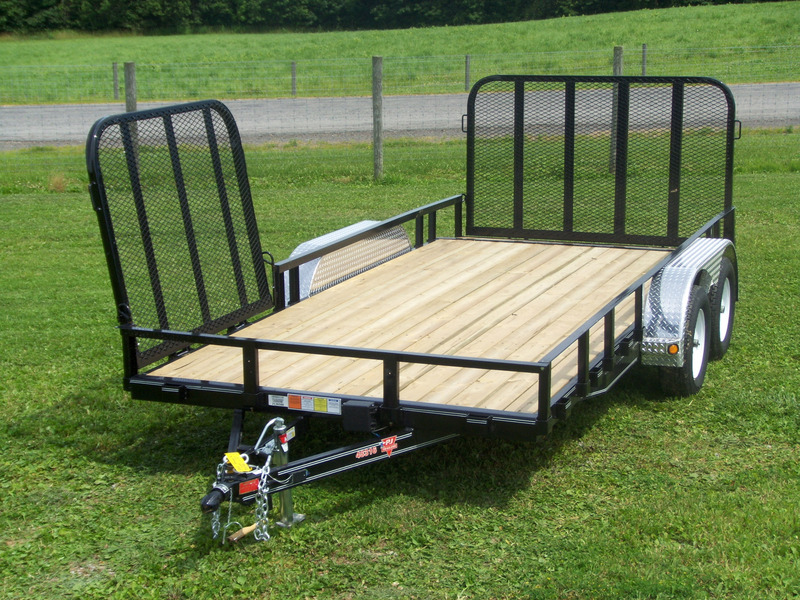 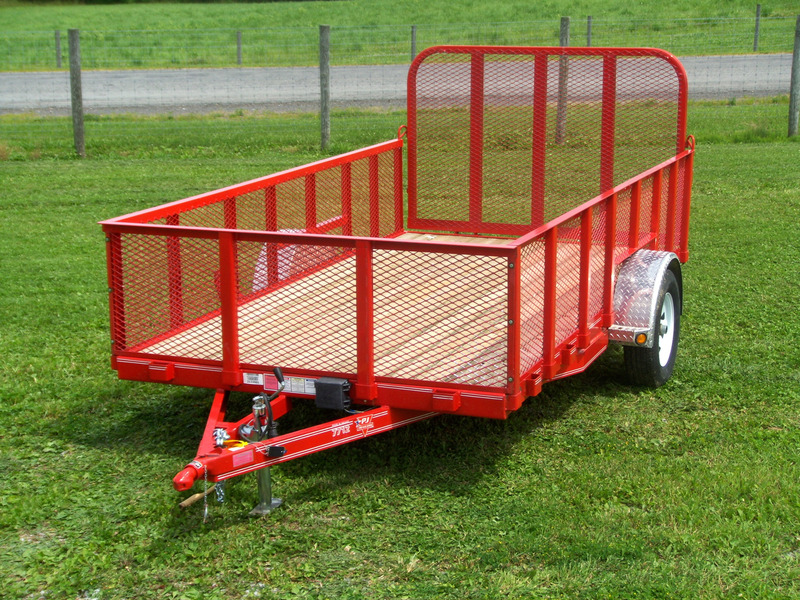 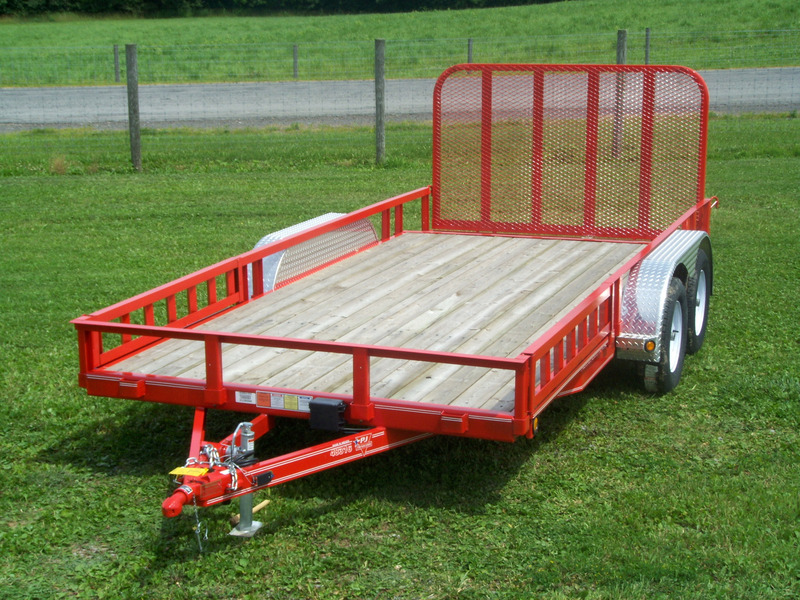 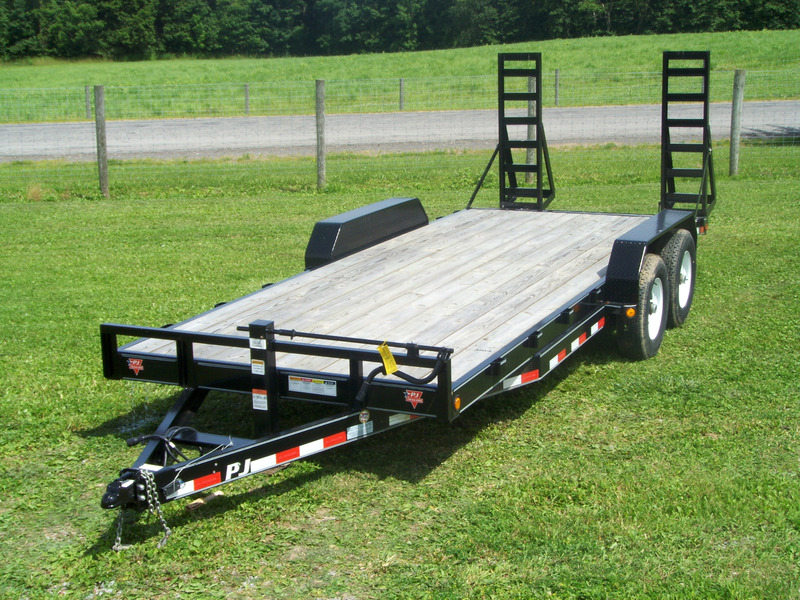 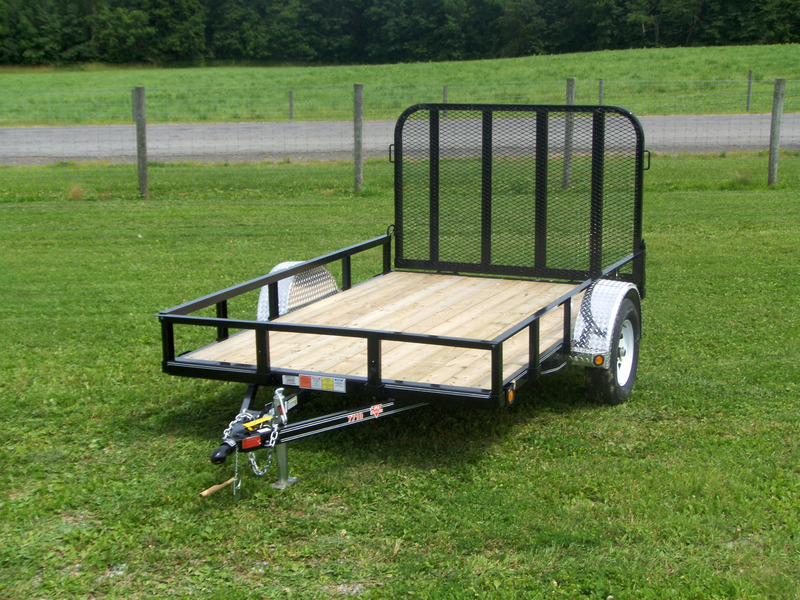 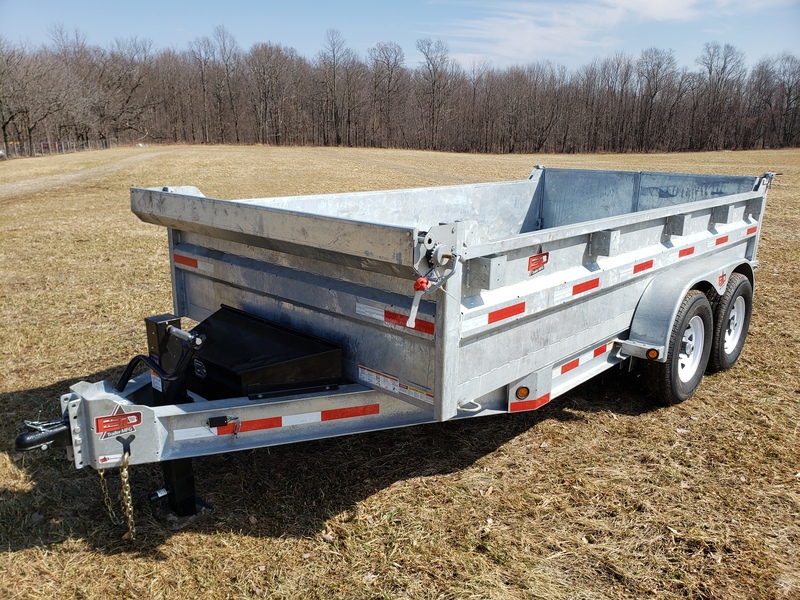 These versatile trailers are great for anyone from homeowners to landscapers. 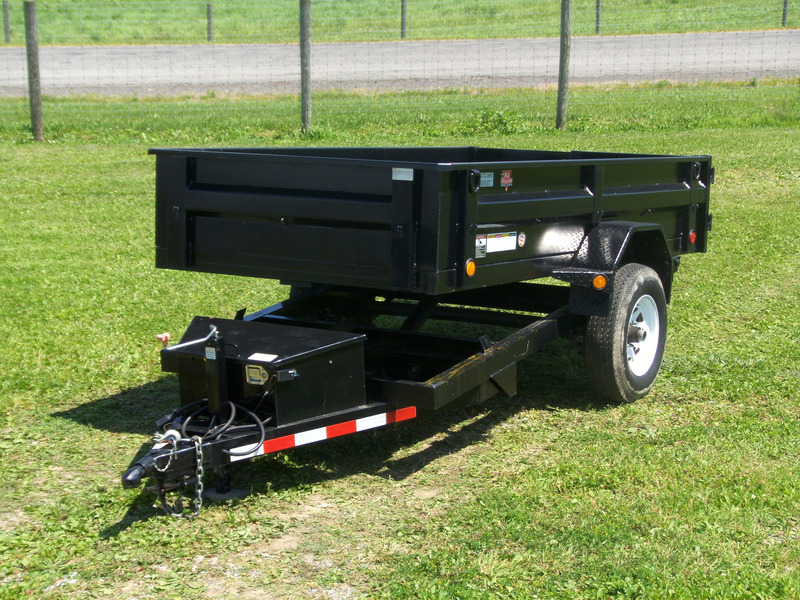 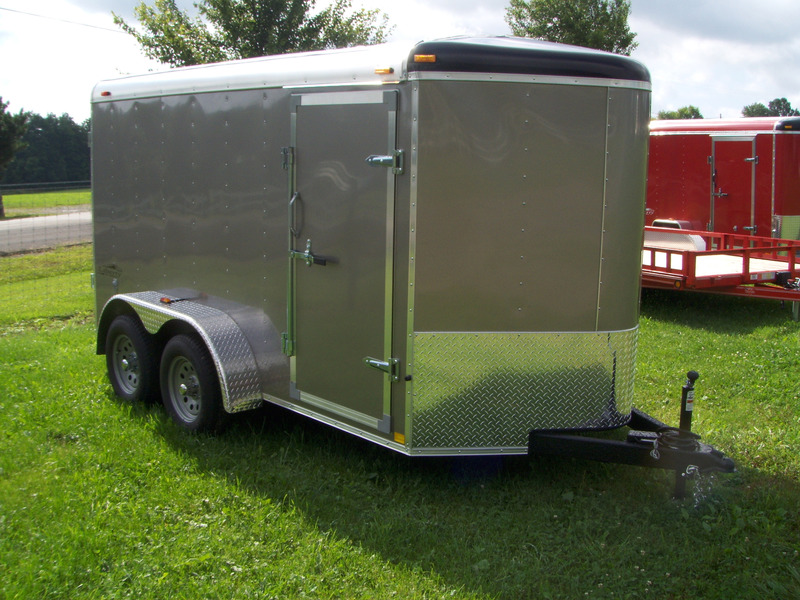 A utility trailer is a great solution looking to transport light commercial or residential machinery. 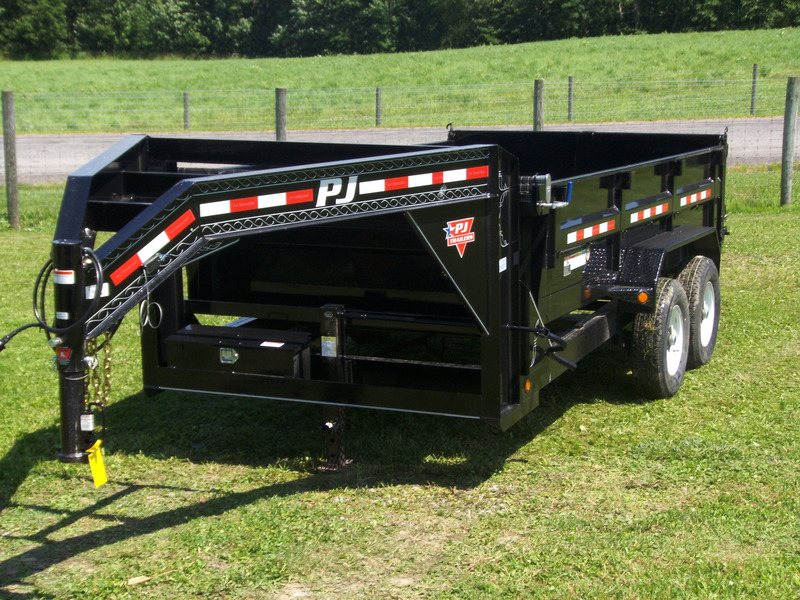 A wide range of tail and side options assures that you can securely and safely load and move whatever equipment you may have. 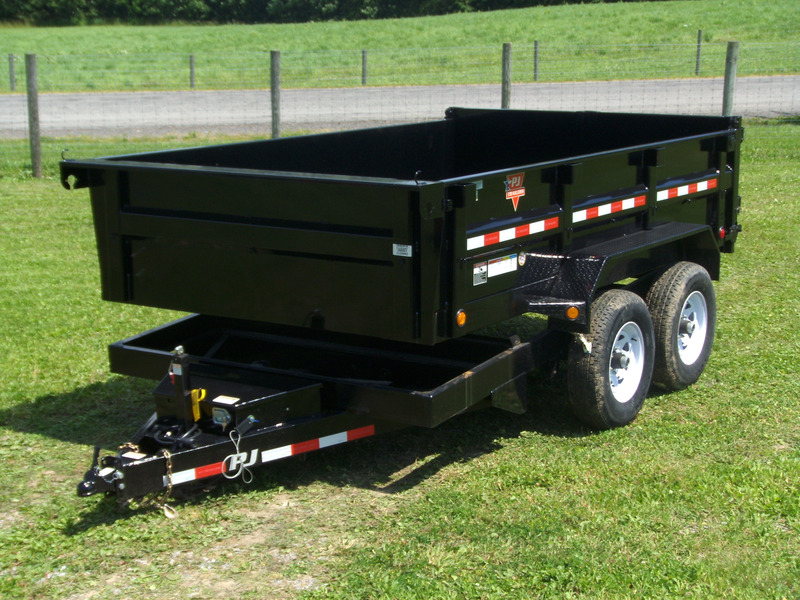 Great for material handling, dump trailers allow you to quickly unload large amount of material and get on with your job. 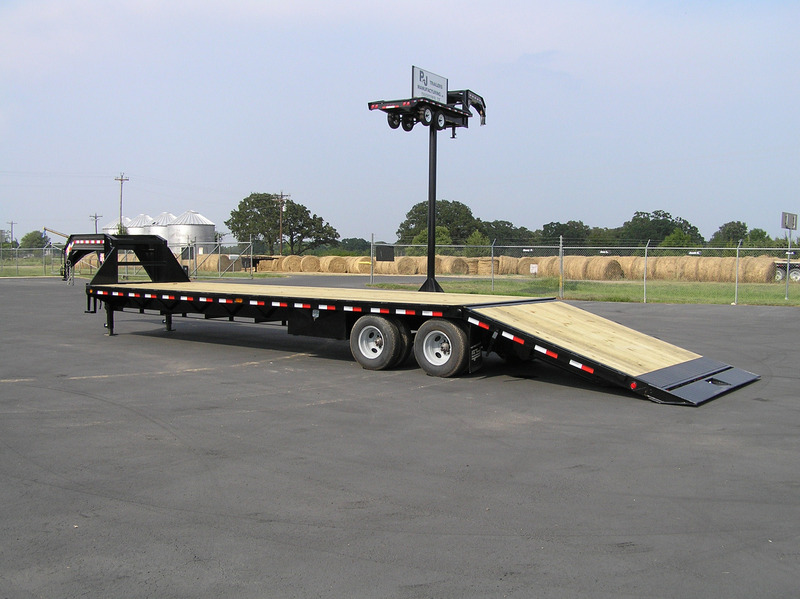 Slide-in ramps and fold down sides can also offer other transport applications to suit your needs. 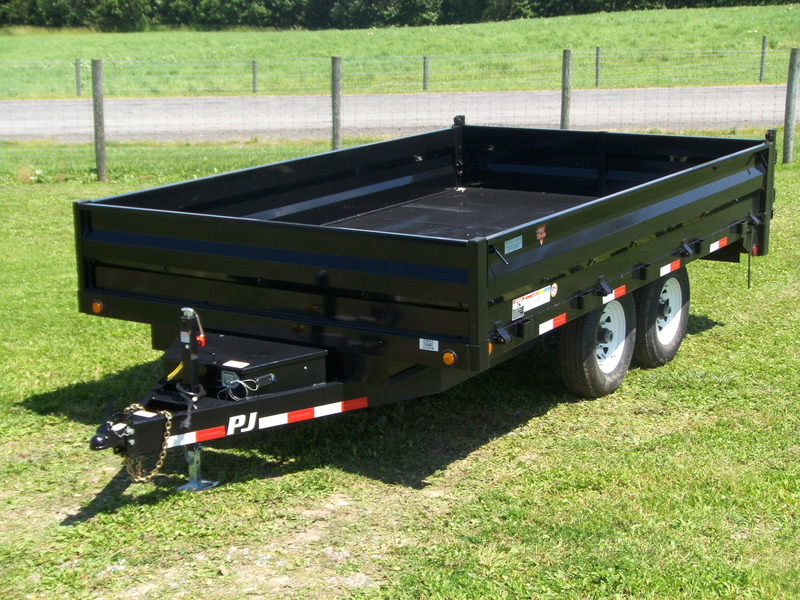 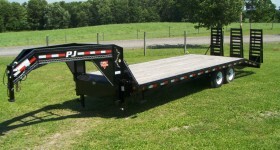 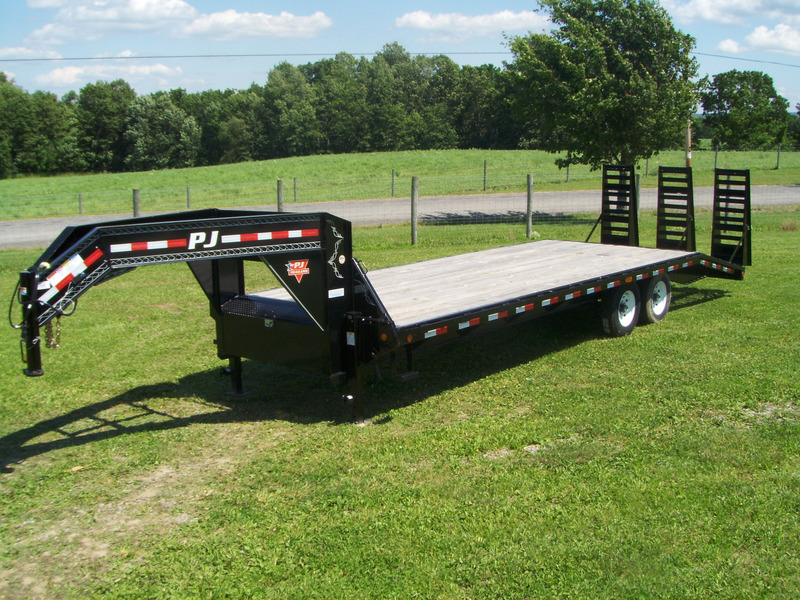 From 5,000 lb to 20,000 lb capacity, PJ Trailers can match the trailer to your vehicle and load. 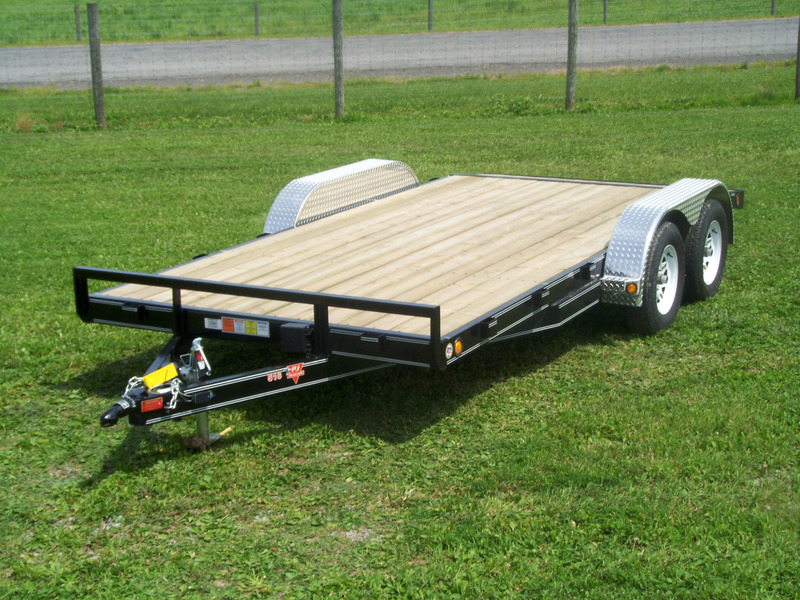 Gooseneck hitches provide the greatest stability between trailer and truck. 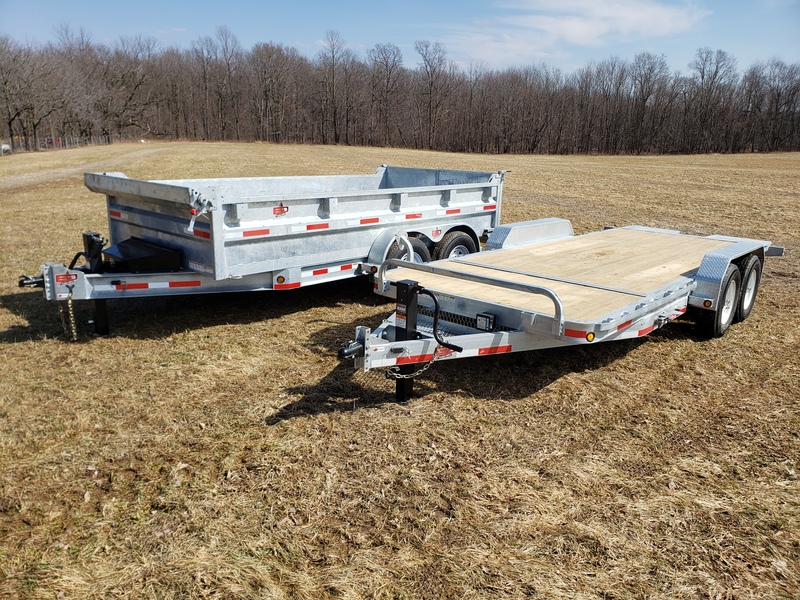 Teitsworth Trailers has become known for its’ huge selection of gooseneck trailers in dozens of lengths, configurations and capacities. 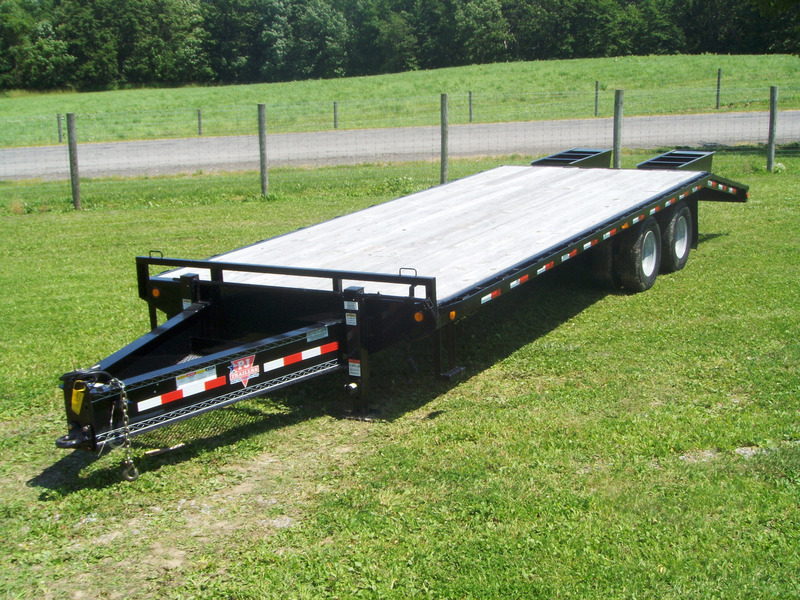 These trailers offer an economical alternative to traditional, large load handling. 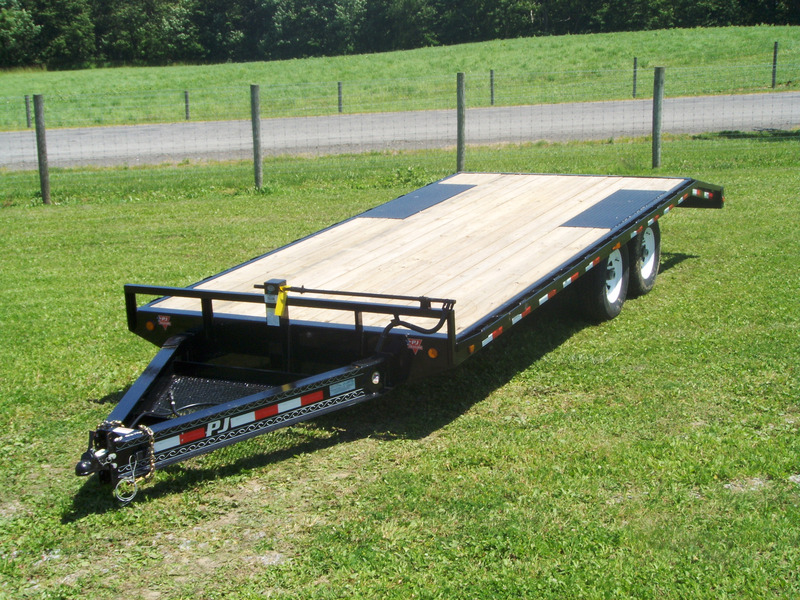 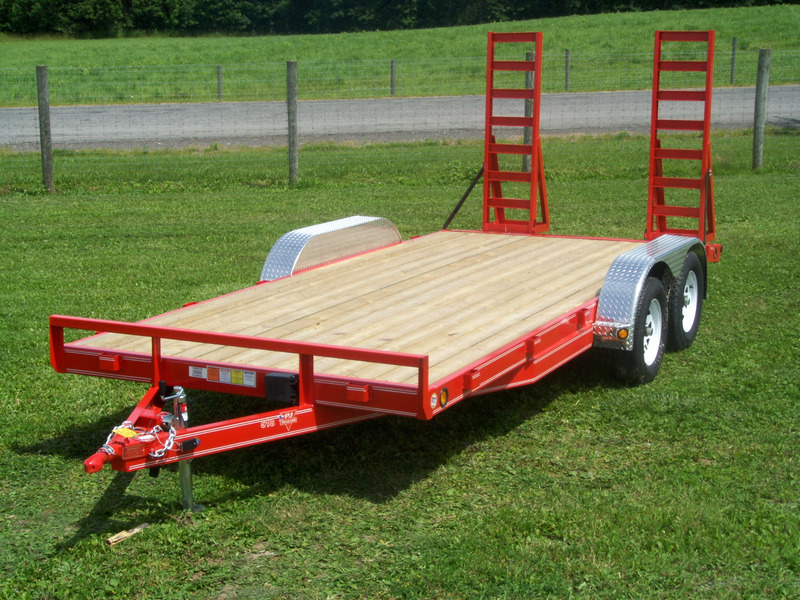 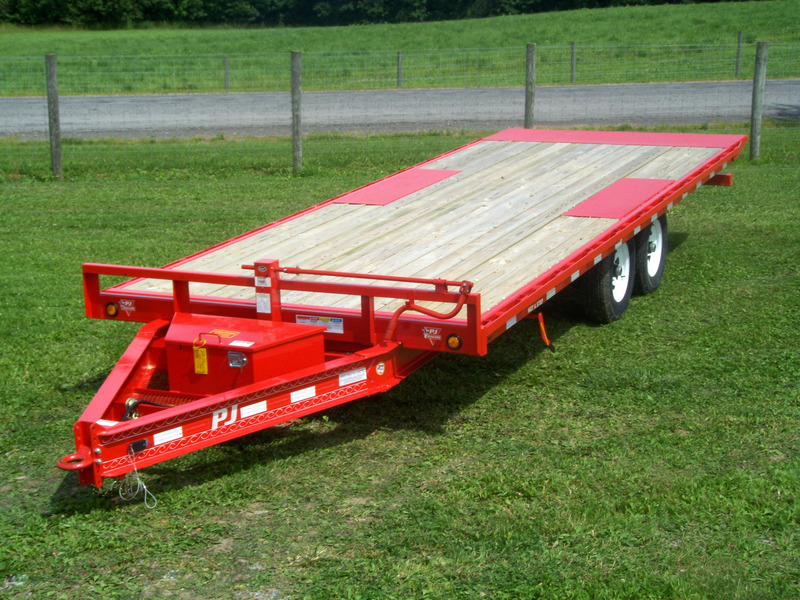 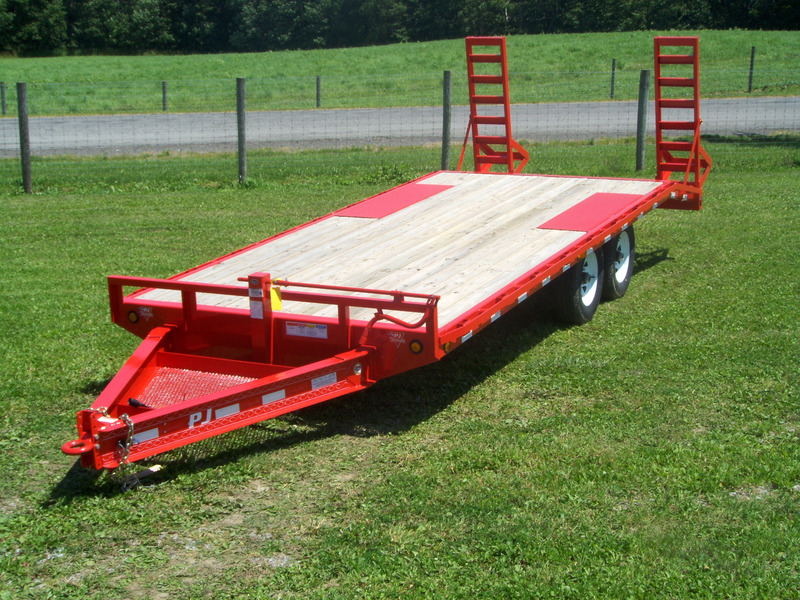 Combine low deck height and easy maneuverability, and you have one of our most popular trailers. 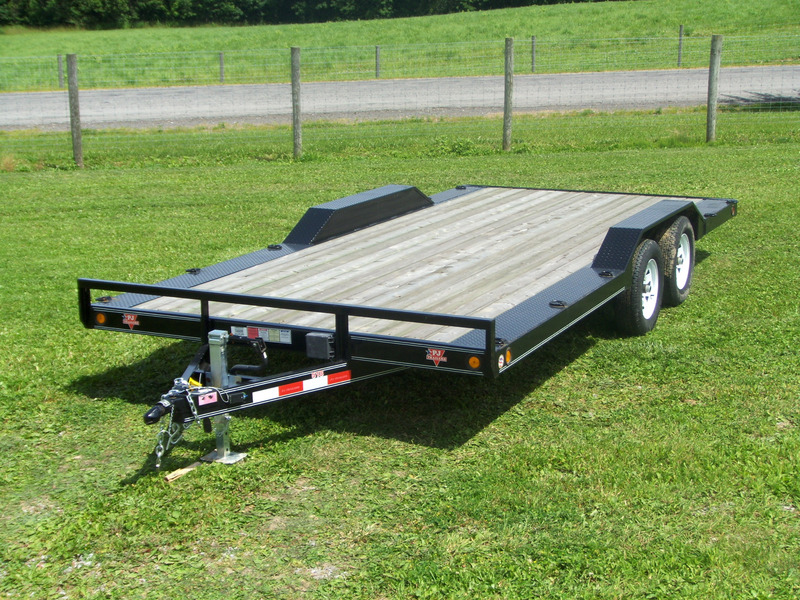 Fender trailers are easy to load, easy to move and easy to own. 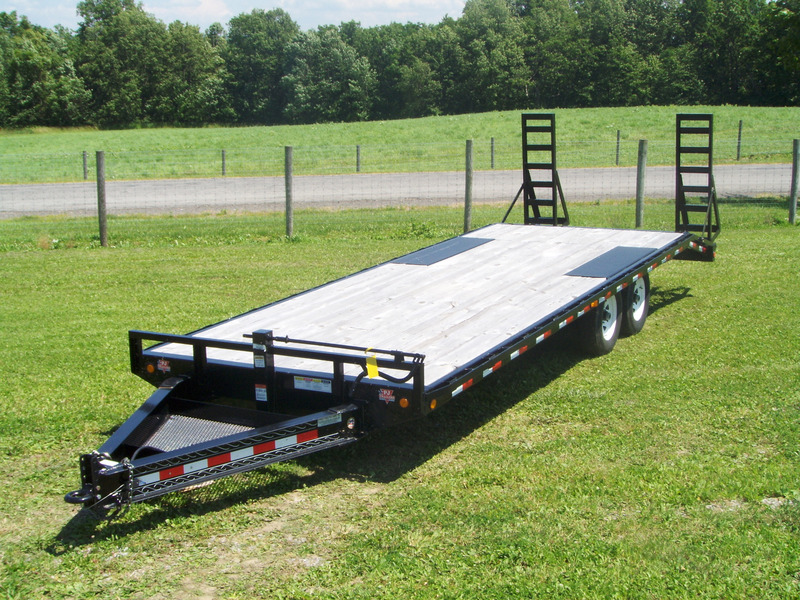 Heavy or light, long or short, ramps or a gate, we have a fender trailer that will make moving your equipment faster and more efficient. 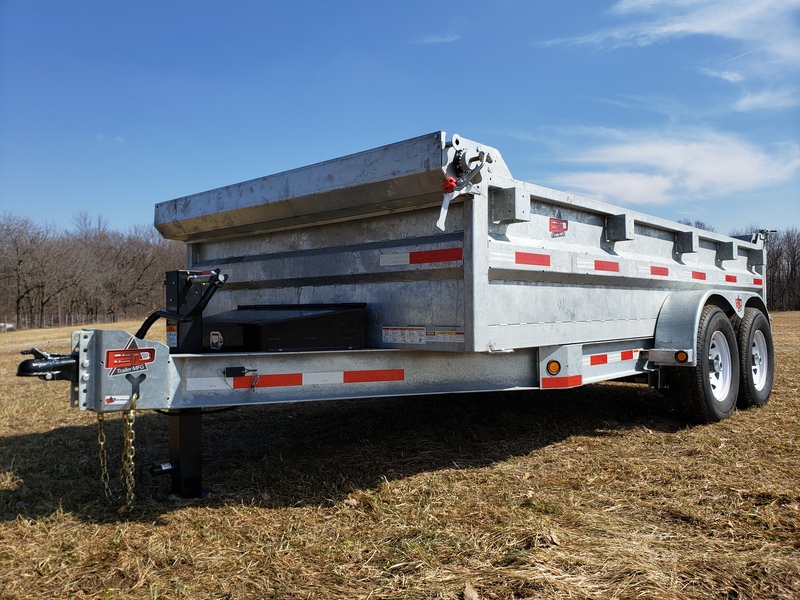 The tilting bed on tilt top trailers eliminates concerns over bottoming out, alignment for loading and unloading and handling heavy-duty ramps. 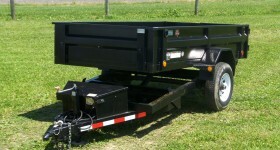 Ease of operation is what this trailer is all about. 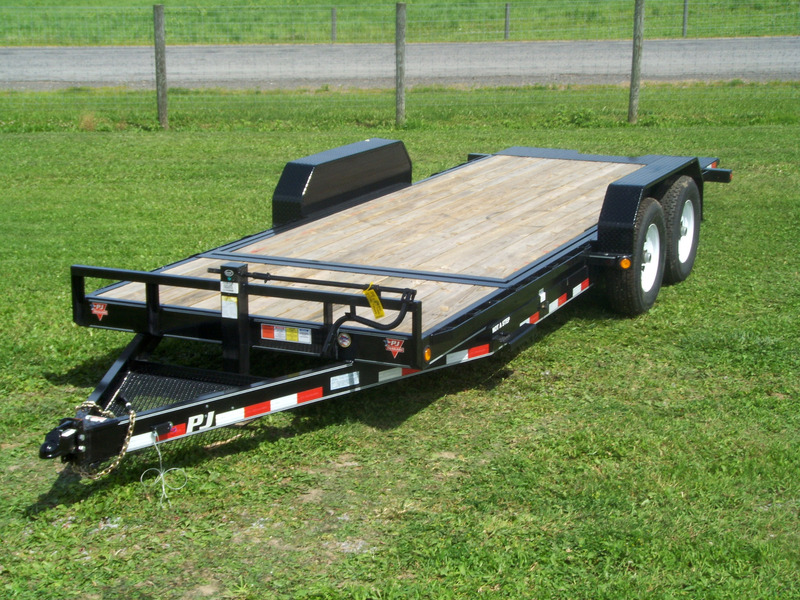 Whether power tilt or gravity driven, deckover or fender, tilt-top trailers come in a wide variety of types. 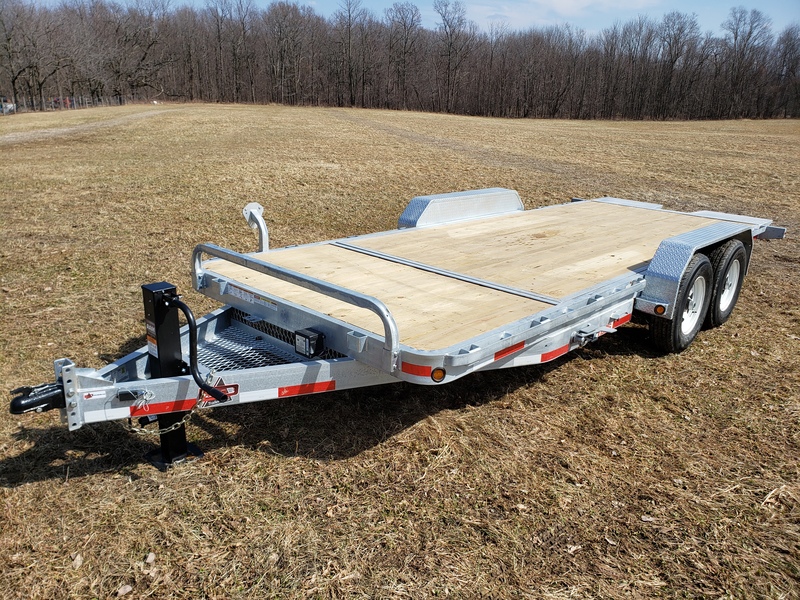 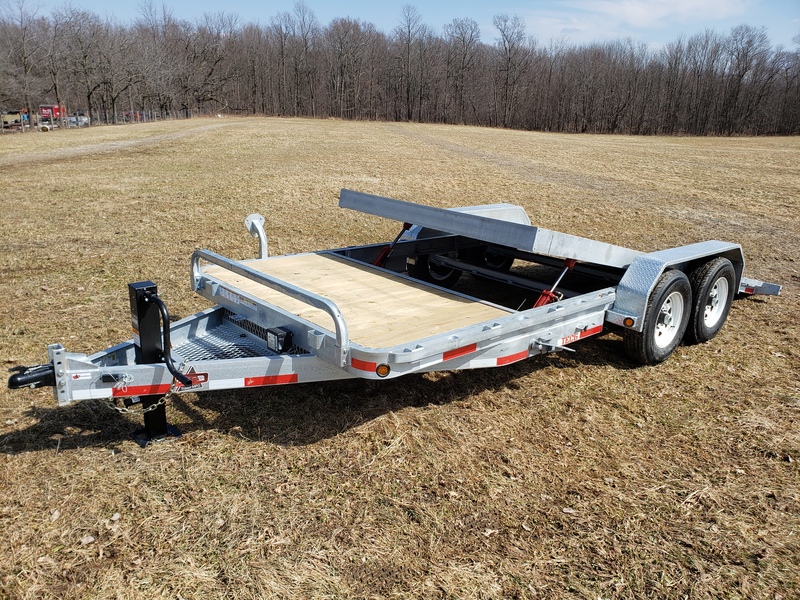 For 180 ° of loading the ultimate in deck capacity, these trailers prove to be the top choice for those that need to load many different types of equipment. 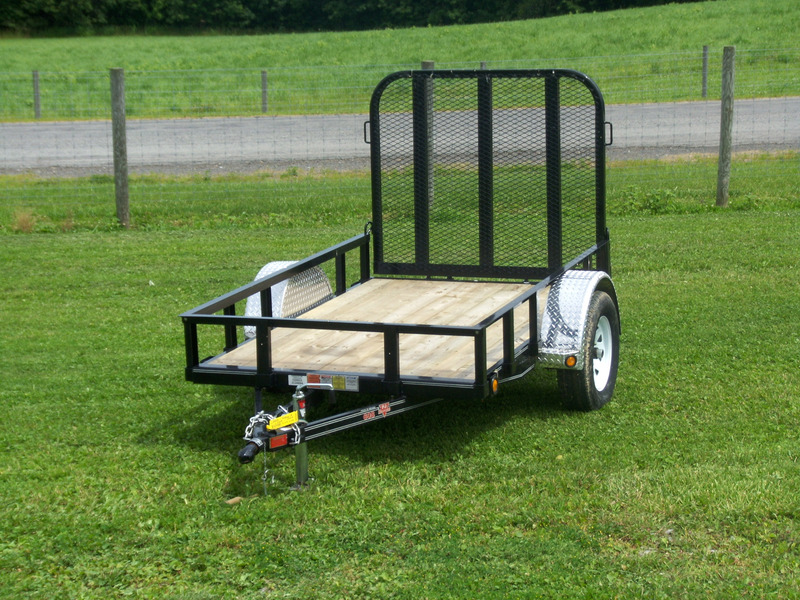 No fenders, no rails, no limits to where you can place your items or tie them down. 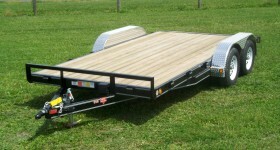 Frontier Aluminum Trailers product line. 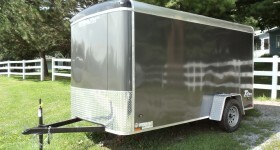 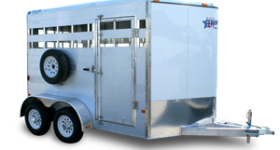 Frontier is a line of aluminum horse trailers, aluminum livestock trailers, ranging in sizes for single to multiple horses and different types of livestock.